Twenty or thirty years ago Americans first discovered the joys of imported French and Italian cheeses such as brie and parmeggiano. Since those days, we’ve become increasingly more adventuresome and discriminating, demanding more flavorful, unique cheeses and finding that local establishments—whether restaurant, grocery, or specialty shop—have been happy to oblige us. In the past decade or so our country’s consumption of specialty cheeses, in particular, has soared. As with other premium foods and beverages, today specialty cheeses are available in greater quality and quantity. If ever there was a day when a Kraft Single ruled the land, those days are decidedly over. These days, you’re as likely to hear a child ask for a piece of brie or buffalo mozzarella as you are Velveeta. And if children are nibbling milder specialty cheeses, then adults are voraciously consuming pungent blue, nutty aged parmeggiano, creamy goat, and port-drenched cheeses. So what brought Americans—and Chicago area residents, in particular—to this point? Perhaps one explanation has been the popularity of wine. An excellent match for many cheeses, wine is as good a companion to cheese as chicken is to rosemary, pretzels to mustard and vanilla ice cream to hot fudge sauce. And given that the United States is now the second largest consumer of wine (after France), it only makes sense that we would go from nibblers of cheese to gobblers. Given that Chicago is the second largest market for wine in the country, it’s not surprising that premium cheeses are also to be found in great quantity. In essence, someone got wise and figured out that our metropolitan area would be a good market for cheese, too. Thankfully for Midwesterners, some of the finest cheeses are created right here in Indiana, Illinois and southern Wisconsin. As American’s palates have grown more refined and adventurous, sparking a renewed interest in cheeses, producers in the area—as well as other major sources such as California and Vermont—have stepped up to the, er, cheese plate. One of the finest producers, Roth Käse, is located just across the border in southern Wisconsin. This renowned company creates award-winning hard cheeses, such as its gruyere which is known for its nutty, bold flavor, as well as dozens of others. As with other small companies and farms like petite Prairie Fruits Farm near Champaign which creates super-premium goat’s cheese, the dairy products created end up on the tables of some of the finest restaurants in Chicago and elsewhere. And larger, but artisanal producers such as Carr Valley Cheese in LaValle, Wisconsin, distribute their creations at finer grocery stores, specialty food stores and farmer’s markets. Collectively, Wisconsin cheese producers receive the lion’s share of national awards, and for products ranging from traditional cheddar to hard ewes’ milk cheese. Chicago, with its red-hot restaurant and foodie scene, boasts a great abundance and variety of cheeses, particularly those from the premium and limited production categories. A growing number of restaurants have installed cheese “caves” or refrigerator units that store their precious cargo at an optimal temperature and humidity. Spiaggia’s cave is one of the largest and probably the first in the city. Eno, at the other end of the Mag Mile, exists for customers to explore the almost magical flavor sensations experienced when pairing cheese and wine. Offering one of the most diverse collections around, the restaurant’s menu offers sheep, goat and cow’s cheese with the menu divided into smelly and pungent, triple cream, spicy, blue, hard (such as parmeggiano) and Wisconsin award-winners, among others. Newcomer Sepia, built from an 1890 print shop, features an unusual artisan cheese cellar, stocking hard-to-find domestic creations such as Berkshire blue from Massachusetts and Feliciana Nevat from Louisiana. In the suburbs, farmer’s markets such as the French Market in Wheaton and others constitute a good source for artisanal cheese—while Whole Foods stores are renowned for their cheese sections. Restaurants, particularly French bistro types, often offer a cheese course as a starter or finishing course. If you balk at the price you might pay for a premium cheese, consider that neither dairy farmers nor cheese producers rank anywhere near the top (or even bottom) of the Forbes richest list or any other. For many, producing flavorful, unique cheeses represents a labor of love. The cheese they create, free of antibiotics, hormones or unnatural feed, tastes different from year to year, dependent upon what flowers and grasses the animals ate. 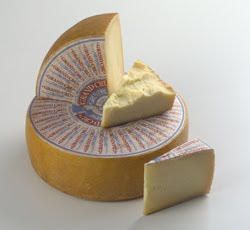 In the case of much-in-demand Pleasant Ridge Reserve, the gruyere-style cheese is produced only in the summer and is featured in four-star restaurants (as well as Eno). From one batch to the next, this rare cheese tastes different—but is always considered a masterpiece of culinary art. Many restaurants now indicate the particular farm or cheese producer, identifying the uniqueness and quality of the product. At some restaurants, the cheese crumbled on your baby spinach salad isn’t a mere no-name, bland-flavored food, but the handiwork of an individual or boutique farm that stresses tradition, quality and purity. Dee Kowalski, owner of the Old World Market in Valparaiso, Indiana, observes that “American producers have really come a long way, making a lot of artisan, small batch cheeses.” At her store she carries premium and organic cheeses from California, Vermont and Wisconsin, noting that what the herds eat—whether cow, goat or sheep—directly affects the quality of the milk. Some of the owner’s and customers’ favorites include Humboldt Fog goat’s cheese from California and Cocoa Cardona, an aged, award winning hard cheese rubbed with cocoa powder. She attributes the popularity of premium and organic cheeses to their better flavor and higher quality. Artisanal producers, utilizing Old World, craftsman techniques, concentrate on quality over quantity, sometimes raising Jersey cows which yield half the milk of other cows. Milk from Jersey cows, though, produces tastier cheeses, and that, along with the animals’ diet and how they are treated, leads to more flavorful, richer tasting products. Allow cheese to sit (covered) at room temperature for 30-60 minutes prior to serving. Soft fresh cheeses should be kept chilled until serving. Wrap cheeses in plastic wrap to maintain freshness. Once a cheese has become too hard to eat, grate the remaining piece over a salad or pasta. When eating a variety of cheeses, progress from the mildest to the strongest.